When I hear the name e*thirteen, I first and foremost think of chain guides and rings. 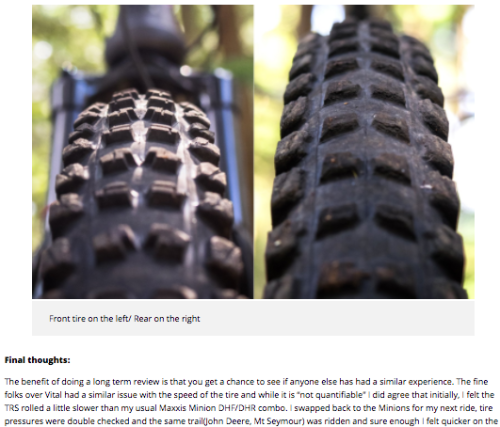 More recently their LG1 wheelsets have made some noise but it was still a little surprising when word came down that they had started to produce their own line of rubber; enter the e*thirteen TRS tires. The TRS tires are available in a super sticky triple compound as well as a Plus compound in 27.5, 27.5+ and 29 sizes. The Plus version is designed for durability, while the triple compound Race variation, as the name implies, is designed for performance and the rigours of the enduro race circuit….